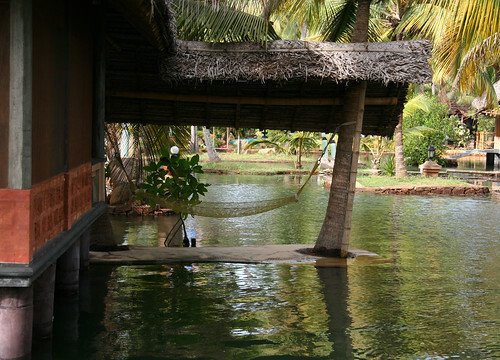 Located along Indiaâ€™s southwestern coast, Kerala is home to gorgeous beaches and a pleasing tropical climate. 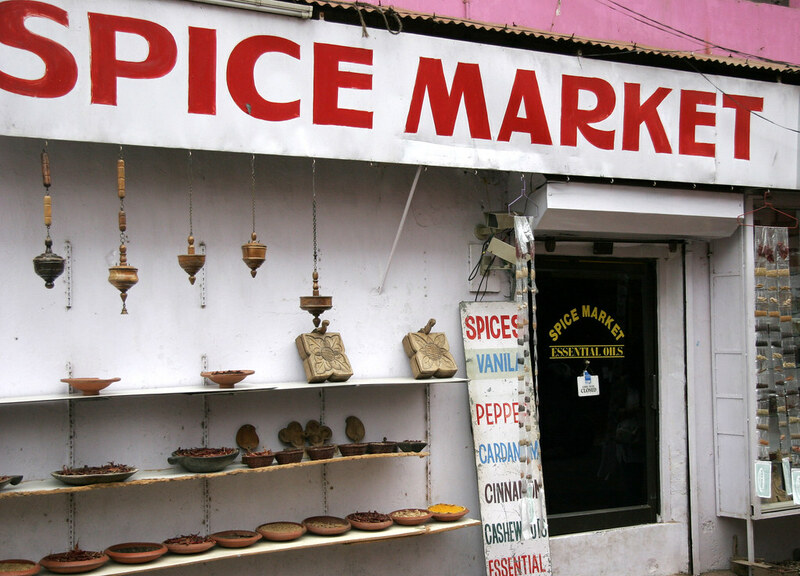 The region is known for growing and exporting spices including pepper, cardamom, cloves, turmeric, ginger, chilies, and mustard, all of which are featured in local recipes. My recent visit to Kerala was a memorable one. The time i spent there was one of my best culinary experiences I ever had. What can I say about Kerala cuisine? It is something every person should experience at least once in a lifetime. This was my first time trying the traditional Syrian Christian Cooking in Kerala. It was explosion of flavors in my mouth. Try the one at the Grand Hotelâ€™s restaurant in Cochi. 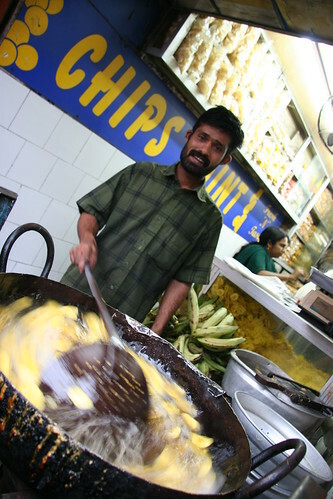 The essential ingredients in Keralaâ€™s flavorful cuisine include rice, coconuts and a variety of fresh bananas. Also prevalent is fresh seafood, including fish, prawns, shrimp, crabs, mussels and oysters, and fresh fruits and vegetables including jackfruits, pineapples, mangoes, cassava, yam and tapioca. Traditional dishes include appams, chutneys, biriyanis and Sadya, a Kerala feast of more than 14 vegetable dishes served on a large banana leaf. For dessert there are many kinds of payasam. 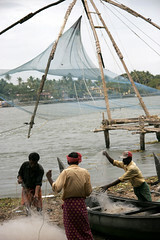 I spent most of my time around Kochi (Cochin). We were filming for a TV series ” Food of India “. 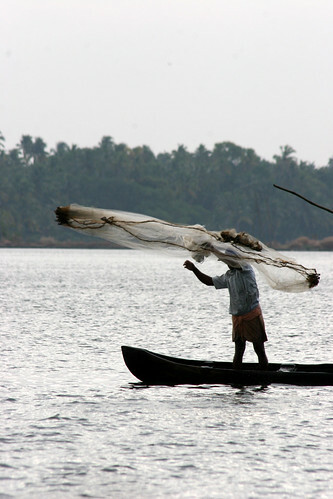 Kochi is a gourmetâ€™s delight and at all the cuisine is as diverse as it is remarkable. 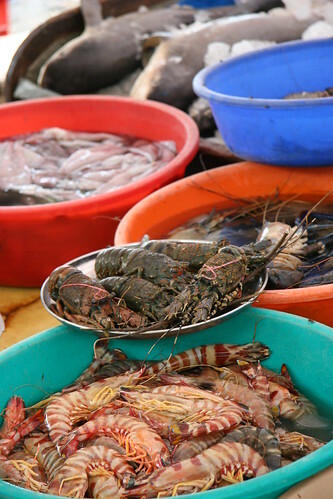 There is a huge variety in seafood, from shrimp, crisp-fried mussel, grilled prawn, lobster and squid done just so and, of course, soft-shelled crabs tossed Kerala-style. 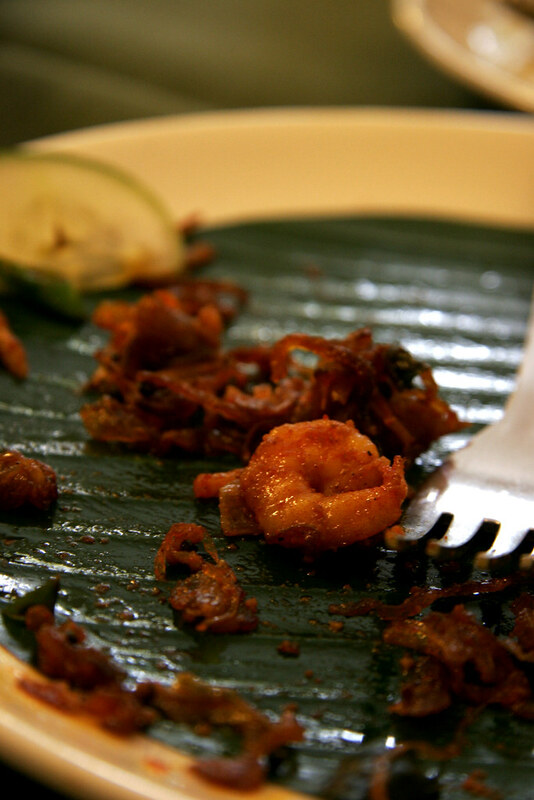 But the meen pollichathu, a delicious fish fillet coated with spice paste, wrapped in banana leaf and roasted should be a priority. There is the staple kappa kari, which is fish and tapioca, and puttu (steamed rice cakes) with beef roast. Again Grand Hotelâ€™s restaurant comes top of my list. Fort Kochiâ€™s â€˜You buy, I cookâ€™ beach side food stalls, not far from the Chinese fishing nets, offer good fresh seafood and beautiful views. 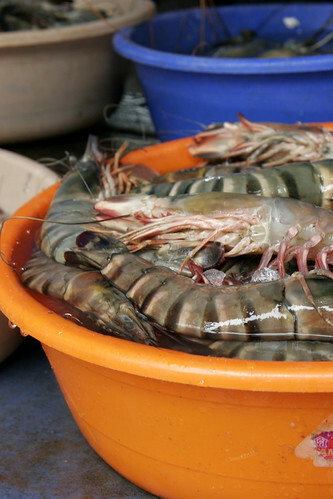 You can also choose from fresh catch prawns, pomfret, snapper, shark or king fish. You can choose your own “catch of the day” from one of the fishmongers opposite the fishing nets. Then, take it to one of the nearby “fast food” shacks where they will cook it for you. Curious to learn more about the local cuisine!! Nimmy, a professional cookery instructor,conducts cookery classes. She teaches guests the nuances of traditional Kerala recipes. She offers food and hospitality to guests at her home. Nimmy and Paul belong to traditional Syrian Christian community in Kerala. In keeping with the tradition of their families they enjoy having guests and serving good food. Sounds Fantastic Hari…..you have covered it all ..like a pro! Kudos! would love to experience a whole new culinary side with you when I visit the east coast. AWESOME ONE. I REALLY LIKE IT. Wow! Wonderful one buddy! Simply fell in luv with the place and the pictures are awesome! Great post! !